You're The Judge: Can The Job Market Stand Interest Rate Hikes? : The Two-Way On Friday, the Labor Department said the July unemployment rate held steady at 5.3 percent. If you had to choose, would you take that to mean the economy is too cool or too hot? Weigh the evidence. The Labor Department's July jobs report, released Friday, showed employers added 215,000 workers and that the unemployment rate was unchanged at 5.3 percent. So how would you interpret that report if you were a policymaker for the nation's central bank? It really — really — matters how you read those numbers, because you have a huge decision to make in September. You and the other Federal Reserve Board policymakers have to set the direction for interest rates. Lots of economists say you should vote for the first rate hike since 2006. But will you? If you raise interest rates too soon, you might choke off growth. Think of the young family that wants a bigger car but needs an affordable loan. Consider the small-business owner who needs to borrow money to hire more workers. Higher interest rates would hurt them and slow growth for all of us; maybe even bring on a recession. Holding down interest rates could hurt savers and lead to inflation and dangerous price bubbles. So what should you do? Let's dig into this latest evidence to help make a decision. When the Federal Reserve met in July, policymakers said they saw "solid" job growth, and most private economists agreed, predicting 215,000 new hires for that month. They were right — the economy continues to churn out jobs at a pace consistent with 2.5 percent to 3 percent growth. July's unemployment rate held steady at 5.3 percent, and the workforce participation rate remained unchanged at 62.6 percent. Those stable numbers suggest the labor market is in no danger of going bust. Average hourly earnings rose 0.2 percent in July — a hint that wage inflation might be starting. Given that evidence, a reasonable person might say the economy is strong enough to allow interest rates to rise a bit in September. Nariman Behravesh, chief economist at IHS Global Insight, reached exactly that conclusion, saying: "Another solid jobs month in July strengthens the case for a September Fed rate hike." The labor force participation rate may be steady, but it's dismal. It hasn't been this low since the late 1970s, when large numbers of women were entering the workforce. It suggests lots of workers remain so discouraged that they have dropped out of the market. Sure, the pace of hiring is steady, but it's still too slow to absorb all of the available labor force and significantly boost wages. Pay raises are meager. The average workweek barely grew, up just one-tenth, to 34.6 hours. That evidence may suggest the economy is still too weak to absorb higher interest rates. "This morning's report was hardly suggestive of improvement," Lindsey Piegza, chief economist at Stifel Fixed Income, said in her assessment. "Status quo is hardly a step in the right direction, making it difficult for the Fed to justify a near-term rate increase." 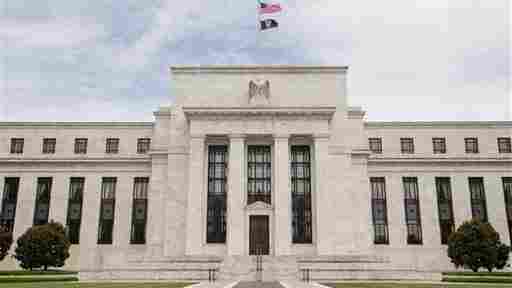 The Fed will have one more chance to collect evidence before making a decision. The next monthly jobs report is due out Sept. 4, and the Fed's policymakers will meet Sept. 16 and 17.